Why would two women separated by thousands of miles share a common thread involving alien abduction? Both cases are supported by multiple witnesses and have substantial evidence. Both women experienced missing time while driving with a companion, and were later taken from their homes. Both have been unwilling participants in ongoing experimental procedures that appear to follow family genetic lines. Both witnesses have given detailed descriptions of the crafts� interiors and technology, medical procedures, messages from the visitors, and the types of ETs they have encountered, including their society�s hierarchical structure. Even more startling, both have independently described finding themselves on identical huge craft, within the same timeframe. The evidence that these phenomena are real. 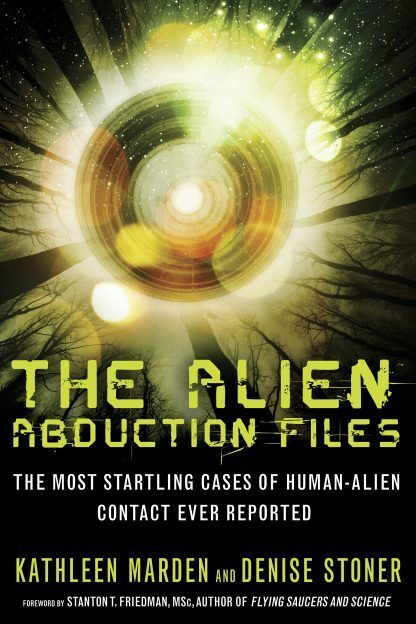 Kathleen Marden is a best-selling author, award-winning UFO researcher and lecturer, and a frequent guest on radio shows. Her expert testimony has been featured on the History, Discovery, National Geographic, and Destination America channels. She is coauthor of Captured! The Betty and Barney Hill UFO Experience, Science Was Wrong, and The Alien Abduction Files. She resides near Orlando, Florida.